This post is part of the blog series, “Her Goals: Our Future,” which highlights the connections between girls and women and the Sustainable Development Goals. It originally appeared on the UN Foundation Blog. March marks five years since the conflict in Syria began, the worst humanitarian crisis since World War II. Half of the population has been forced to flee their homes, with 6.6 million people displaced inside Syria and another 4.7 million refugees seeking safety and assistance in neighboring countries and Europe. Children are among the most vulnerable of all, bearing the brunt of the war. They are being bombed, facing starvation, and dying from preventable illnesses. For those who manage to escape and find safety in neighboring countries, they can’t escape the psychological trauma. To ensure we don’t lose an entire generation to the effects of war, Save the Children is running schools, distributing healthy foods, and providing support to the war’s youngest survivors. Our team has collected stories of children in Lebanon, Jordan, and Egypt. For some of these children, war is all they know. One of the most compelling stories is that of Dana*, a 5-year-old Syrian child currently living in the Za’atari Refugee Camp in Jordan. Her brothers and sisters share what a wonderful place Syria was before the war and how they will return one day, but she doesn’t want to go back as she only remembers the bombs and violence. When Dana was only 3 years old, she was left alone in the house during a bombing in the middle of the night. Her father was able to rescue her, but her house was burned down and her family lost everything. Dana is now in kindergarten at a school Save the Children runs in Jordan. She told our team that she likes learning the letters of the alphabet and playing on the slide with her friends. Dana wants to be a kindergarten teacher one day to help other children learn what she knows. Dana’s mother, Um Rashid*, said, “The future belongs to girls who are educated.” She has seven children, five girls and two boys, between the ages of 3 and 16. The young mother wants to return to Syria one day and admits it is hard to hear Dana say that she never wants to go back to Syria because as refugees that is the only hope they cling to. Yet she is grateful that her children – especially her daughters – are being educated while they are safe in Jordan. She said, “What do they have without education?” Without education they get stuck in marriage at a young age. I agree with Um Rashid that education is key to ensuring a brighter future for Syria. 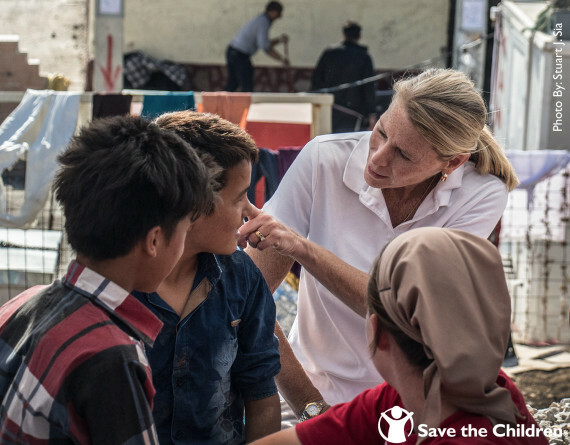 The conflict is complicated, and we must continue to put pressure on world leaders to help stop the fighting, but in the meantime, we owe it to the children to do our part today – individuals can visit SavetheChildren.org to learn more and donate so we can continue to help children survive and learn. 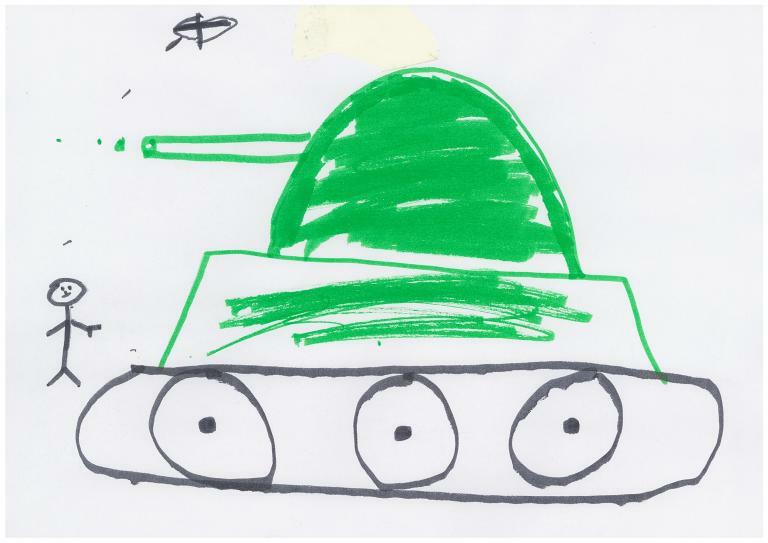 If These Syrian Kids’ Drawings Don’t Move You, What Will? This post originally appeared in the Global Post. After World War II, we said never again. But today, five years after the conflict began, hundreds of thousands of Syrians — mostly women and children — are suffering in what some refer to as “death camps.” People are living in communities cut off from the outside world by armed groups. Food, water, medicine and electricity are scarce. Schools, homes and hospitals are being bombed. 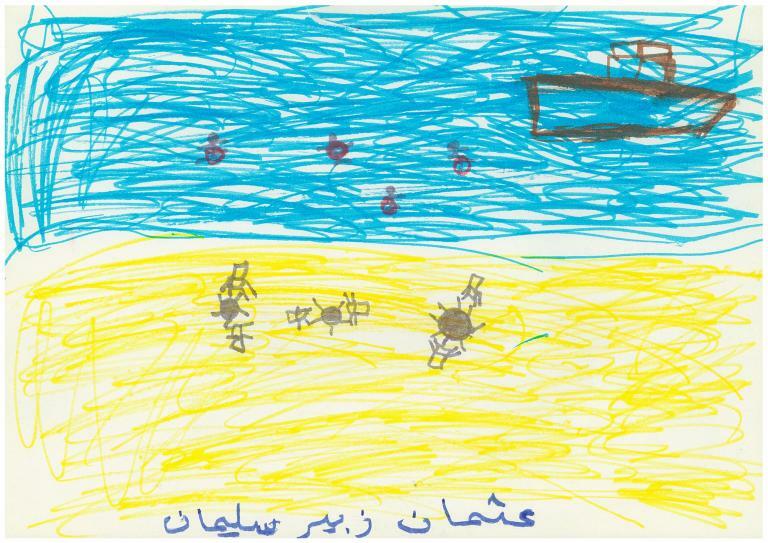 While it is hard to hear these stories of what it is like in Syria, and to see images of children who have died on the beaches while seeking safety, we owe it to the children to listen and not turn our eyes and ears away. 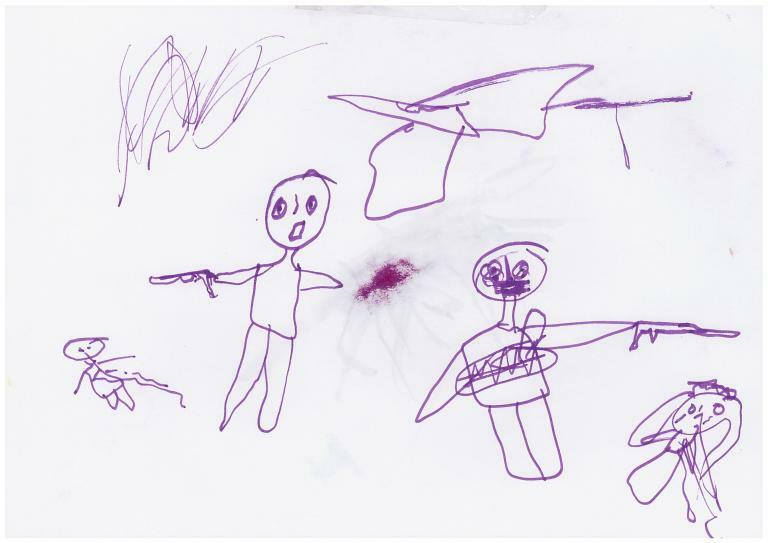 Consider what it’s like for 5-year-olds in Syria who have known nothing but war. An entire generation could either be killed, or experience a lifetime of hardship due to psychological damage and lack of an education. 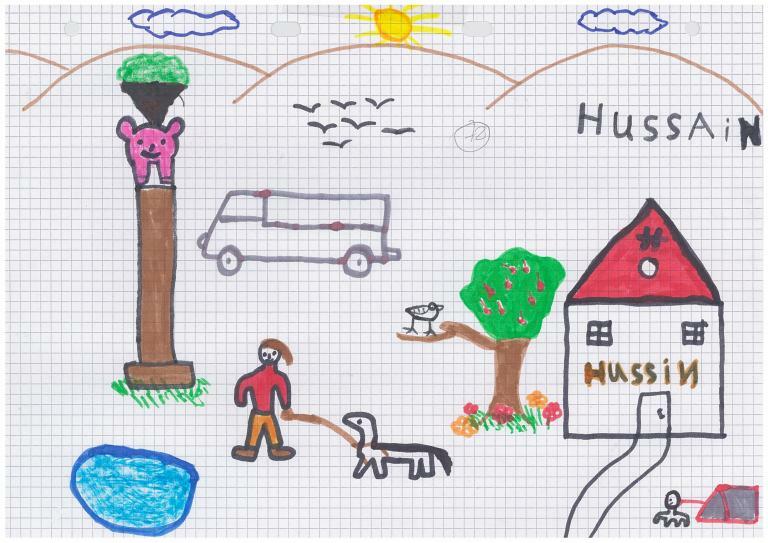 According to a September 2015 report from Germany’s chamber of psychotherapists, 40 percent of Syrian children who found safety had witnessed violence. More tragic still, 26 percent had to watch family members being attacked. Yet, there is hope with the first-ever break in fighting, which started recently, and the peace talks that began in Geneva this week. Just like several decades ago, there are heroes risking their lives to help children and their families. Aid organizations are delivering food, water, and clothing, and are providing safe places to learn and play both inside Syria and throughout Europe where children have found refuge. 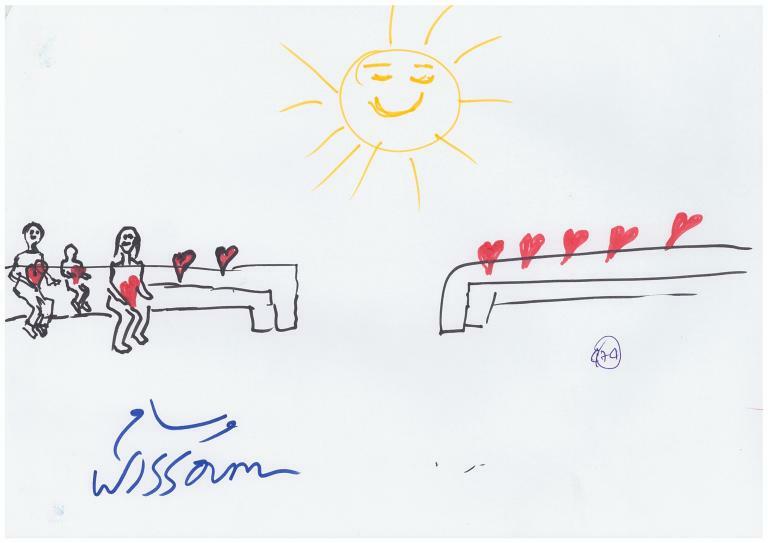 At Milan’s Central Station Mezzanine for Syrian children, a popular transit hub for families awaiting passage to northern Europe, children were encouraged to draw how they felt about home, war, and their journeys to safety. Our colleagues who were with these children sent us photos of these pictures. 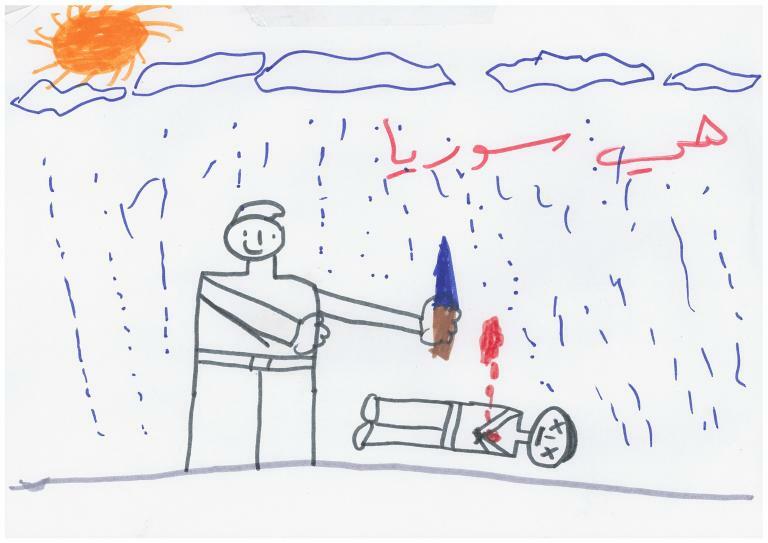 It was heartbreaking to see the children draw images of war that included bombs and people lying in puddles of red ink. 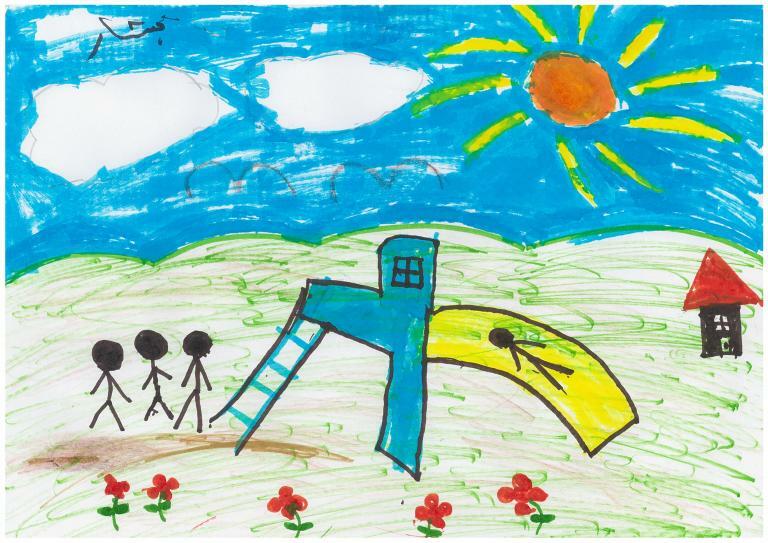 But at the same time, I felt hopeful looking at the drawings of their homes in Syria, which included sunshine, playgrounds, smiling faces, and blue skies. While the war is complicated and world leaders work on a solution to end the fighting, one of the most important things we can do is to help Syria’s children continue their education. This conflict has starved millions of young minds, and that must stop now. Making sure that Syrian children are learning is not only the right thing to do, it also protects children and youth from being exploited by child labor, early marriage, and recruitment by armed groups. This creates a safer, brighter world for all of us. Last month, world leaders, including US Secretary of State John Kerry, agreed to mobilize funds to educate refugee children in Lebanon and Jordan as part of a broader United Nations appeal for Syria. This is a big step in the right direction. We must tell our representatives to continue the positive momentum, and support the essential role education plays in returning the country to stability, and rebuilding society. And we must continue to support aid groups. We know we can’t be the ones to stop the war, but we can stop children from dying from malnutrition, provide a safe place to learn, and give them hope today. With our help, they have a chance at a brighter future. Syria, and all of us quite frankly, cannot afford a lost generation. The time to act is now. The five mothers sitting on plastic chairs beside me were decidedly cool while I sweated in the heat that was building, even on what was a relatively cool Myanmar morning. They were dressed in beautiful saris and long, colorful skirts and headscarves, and smiled widely in welcome. Through translation from English to Burmese to a local dialect of Arabic, I explained I had come from the US to visit the Save the Children program here in this camp for internally displaced families and wanted to hear their stories… stories of how they came to be in a teeming, dirty camp only six miles from their homes in the nearby town. Homes they had not seen now for more than three years—homes that no longer existed after they were forced to leave. Inside the camp, much of that life was gone. These mothers were no longer allowed to work and support their children. They survived now on aid – food rations, informal education and very basic medical services provided by donors from their and other governments, and delivered by agencies like Save the Children. Basic bamboo and tin shelters jammed together along a deeply rutted road was now home for these families, and tens of thousands of others. Hamida described how the only way she could continue to provide nutritious food for her four children was to take part of the dry ration of beans that was meant for her and sell it to buy a few vegetables and eggs. She was struggling to keep her eldest in school, a daughter she adopted in the camp when the girl’s mother died in pregnancy, and was determined to get her into the 1st grade and beyond. Kahin Mer Cho had a 3-year-old and a 5-month-old, both born in the camp, both born at home. She described her intense fear when her first child was born—at that time there wasn’t access to medical services in the camp and she worried something would go wrong. She told me even today there are others not as lucky as she was, who were losing children and losing their own lives in childbirth. Another mother, speaking quietly, described how she had to take her oldest, a girl who had gotten through the 6th grade, out of school because she could not afford the very basic supplies for her to stay. When I asked if she had a plan for her daughter, she said she wanted to get her some training, perhaps in sewing with a machine, but the teenagers are not allowed to leave the camp so she now stayed at home and helped with household chores. As I listened to these stories of life before and life now I was struck by the intense impact on these mothers – but mostly on their children. If things don’t change, a whole generation will grow up here in this camp. Despite the incredibly hard work of my colleagues at Save the Children and many others, these children will have limited educations, suffer from high rates of malnutrition and stunting, with many girls being married off early and having children while they are still children themselves. Sadly, some families will give their children up to traffickers to get them out of the camps, a situation that most likely will lead to horrific exploitation. The reason for the violence against these mothers, the hatred that forced them and their families from their homes, burning everything they ever had, is a complicated one. In my short time in Rakhine I could only get a shallow understanding of century old tensions between the Buddhist and the Muslims that caused the flares of violence over three years ago now. Violence that has added hundreds of thousands of people in Myanmar to the global flood of displaced people – the largest since World War II. I would not begin to tell you I understand the deeper issues and history. But I do understand the suffering I saw in the children I met in the camps. No child deserves to have their future taken away and all children have the right to a decent education, to survive and to thrive and to be protected from abuse. And every mother’s heart is broken when she can’t provide it. The hope is in the new government here in Myanmar, one just forming and still struggling to lead. A government built on the foundations of democracy, rule of law and basic rights for all, with leadership that also lived through those things being taken away. 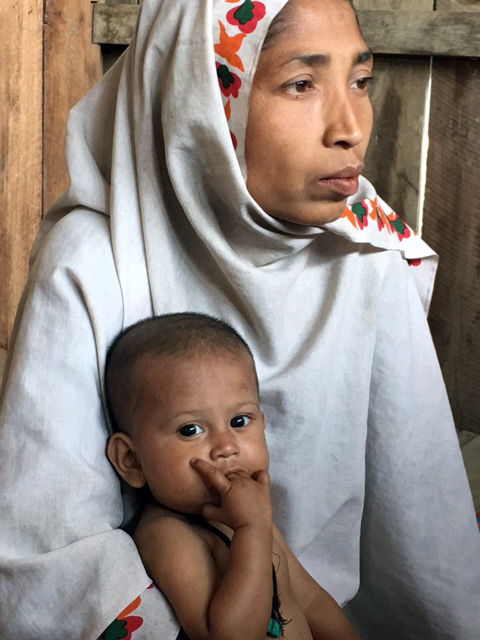 The five moms I sat with in that dusty camp need access to those things just like every other person in Myanmar. There are many on both sides working toward that goal, and it will take care and time, but the futures of the children I met should not be the price to pay to get there. The Warning Bell Has Rung: Will the World Hear It? The tiny boy’s chest rose and fell fast as he lay on the thin mattress of the hospital bed, his grandmother by his side. As I watched him struggle, I asked the doctor looking over him what was wrong. His diagnosis was severe malnutrition complicated by a serious case of pneumonia. Pneumonia kills more children under 5 than any other single disease in Ethiopia and, layered on top of a case of severe malnutrition, Mohammed’s little life hung precariously in the balance on the day I met him. This was his second visit to the district hospital in the last few months and his mother and grandmother had traveled over 100 miles to get him there. He is one of 400,000 children in Ethiopia now suffering from severe malnutrition due to lack of food caused by the worst drought in 50 years. In the United States, El Niño is causing warm spells in the Northeast, flooding in the Midwest and forest fires in California—but its severity and duration this year is wreaking havoc on Ethiopia in the Horn of Africa and threatening tremendous progress made over the last 25 years. Ethiopia is a country I often hold up as an example of what can be done, especially with strong government leadership and partners. Ethiopia has reduced child mortality by two thirds, meeting that element of the Millennium Development Goals several years even before the 2015 target; the vast majority of Ethiopian children are enrolled in primary school; and the country’s innovative health system serves families through clinics in even the poorest communities with more than 30,000 health workers supported by the government. Governments and partners invested in an early warning system that monitors rainfall and soil moisture, which rang the alarm in mid-2015 that a drought was imminent. But alarm bells don’t do much good—and won’t save children’s lives—if no one listens to them. I met several struggling families on my trip to the Amhara and Afar regions of Ethiopia this week. For many, their cattle had died or been sold off for half their value due to lack of food for the animals. Almost 80% of the population is dependent on rain-fed agriculture, so the failure of three successive rainy seasons has left families with no crops to sell or to eat. Now they are receiving monthly rations and children are slipping from moderately malnourished to severely so, every day. Children have started dropping out of school because they must instead walk for hours to collect the scarce water that is available. The Government of Ethiopia has mounted a strong response to the drought, vowing that they won’t see the suffering of 1984 repeated. 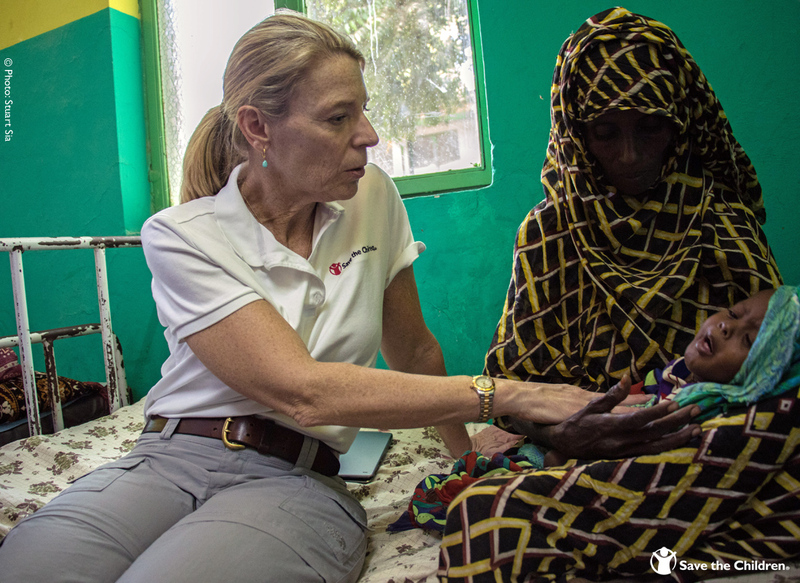 Governments like the US, Norway and the U.K. have also stepped up aid to Ethiopia to provide food, water, animal feed and health services like treatment for malnutrition through Save the Children and other organizations on the ground. But many others haven’t. The sheer scale of the drought means more resources—food and money—must be mobilized now, both from those who have already given and especially from those who have not. There’s no time for delay. I left the Dubti Hospital that day with the very real worry that Mohammed might not make it through his tremendous struggle against pneumonia and malnutrition. But thankfully he was receiving the medical support he needed. At the same time hundreds of thousands of others were struggling just like him that day, and each day since, often without food or access to medical care. The warning bell has sounded—we cannot be deaf to it. We cannot wait for more children to suffer before we are moved to act. This post originally appeared on FoxNews.com, and was written in coordination with Michelle Nunn, Carolyn Woo, Neal Keny-Guyer, Raymond C. Offenheiser, & Richard Stearns. More than 4 million Syrian refugees, almost half of whom are children, have fled unspeakable violence. Even with winter advancing, many continue to make the treacherous journey from Turkey to Greece by boat, and many, like Aylan Kurdi, the little boy prostrate on the beach whose image sparked renewed dialogue on the crisis, have perished. The attacks in Beirut and Paris were horrific and a terrifying window into the daily lives of the millions of Syrians that remain inside Syria. The United States has a long, proud history of aiding persecuted people. Instead of turning Syrian refugees away, we must both assist those who remain in the Middle East and provide safe haven for those who feel compelled to leave. Unfortunately, some of our leaders have proclaimed that desperate Syrians fleeing for their lives are unwelcome in the United States. Public concern is an understandable response to recent events and the security screening process should be regularly reviewed to ensure that it is effective and efficient. To be American is to be generous and compassionate. We should not close the door on all Syrian refugees in this, their darkest hour. Terrorist threats to the United States are real and the U.S. government has a responsibility to keep the public safe. It is important though for everyone to remember that refugees themselves are fleeing violence and are subject to the greatest number of security checks of anyone coming to the U.S. The process can take two years or even longer due to required screenings, in-person interviews, investigations, and clearance by a host of government agencies including the Department of State, Department of Homeland Security, FBI, National Counterterrorism Center and U.S. and international intelligence agencies. As leaders of the largest humanitarian organizations based in the U.S., we are proud to represent the most charitable nation in the world. To be American is to be generous and compassionate. We should not close the door on all Syrian refugees in this, their darkest hour. Even as we admit more Syrian refugees, our response must target the root causes of the Syrian exodus. The U.S. has been the most generous donor to humanitarian relief efforts aimed at supporting the Syrian people and neighboring countries. And yet, more must be done. The U.S. and other countries influential in the region must redouble their efforts to find a political solution to the war hand in hand with the Syrian people, do more to protect civilians, ensure humanitarian access to those in need inside Syria, and provide urgently needed financial support to Syria’s neighbors who are shouldering the burden of hosting more than 4 million refugees. As the violence of the Syrian conflict spills out beyond its borders now is the time to act with compassion, not fear. Carolyn S. Miles is President & Chief Executive Officer for Save the Children. It takes only a few hours on a beach on the Greek island of Lesbos to understand the enormity of the current refugee crisis sweeping Europe and the many dangers that refugees face, including so many mothers and children. On one typically busy day, our Save the Children staff counted 22 small rubber dinghies arriving in just five hours — filled with babies as young as three months old and adults as old as 76. 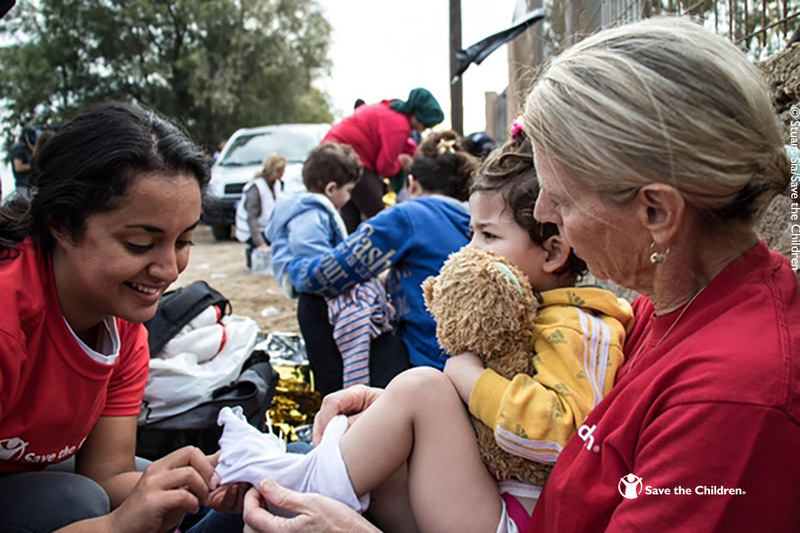 While no Greek official was on shore to meet the refugees, volunteer aid workers, including Save the Children staff, were there to assist and guide them toward registration. The numbers of people arriving in Greece this year is staggering — up from 40,000 last year to 580,000 so far this year. During one five-day period last month, 48,000 new arrivals — or nearly 5,000 a day — came to shore. I recently visited the north shore of Lesbos and talked with a number of refugee families arriving by boat. One woman I met from Syria was traveling with her little girl, little boy, and two brothers. Her husband was left behind in Syria and was hoping to meet them later. We helped guide their boat to the shore and pulled them out of the water, and she said she couldn’t believe they were alive. She was so cold and overcome by emotion, she shook violently. We wrapped her in a space blanket and one of our workers offered her his scarf. Slowly, as we gathered warm clothes for her children, she stopped shaking and even smiled weakly as her daughter showed off her warm jacket. I also visited the two informal camps outside the island’s capital city of Mytilene, where refugees must register to continue their journey to Europe. One camp was originally for Syrians and the second camp for other nationalities, the majority of whom are from Afghanistan. Our staff met several teenagers making the trip by themselves. One boy from Afghanistan was traveling with a small group including four other teenage boys. They were trying to get to Germany, where one of the boys had a brother. No one knows precisely how many children are making this journey alone, but recent estimates put the number in the tens of thousands and is growing rapidly. Recent figures from the Serbian government, for example, show that nearly one in four refugee children arriving in Serbia in recent months have been unaccompanied. While the international community continues to struggle to find a solution to the conflict in Syria, now approaching its fifth year with no end in sight, the sheer numbers of desperate Syrian citizens are staggering. Four million have fled the country and over 7 million have been forced from their homes but remain inside Syria. Almost 3 million Syrian children are not in school, including half of those who have fled to neighboring countries. As Secretary of State John Kerry noted last week, “Imagine what it would mean for America’s future if the entire public school systems of our largest cities — New York, Chicago and Los Angeles — were suddenly to close and stay closed.” Schools, in fact, are among many public institutions that are in shambles. More than 4,000 attacks on schools have taken place in Syria since 2011, according to the U.N. Meanwhile, two of Syria’s neighbors, Lebanon and Jordan, are reaching their breaking point in assisting Syrian refugees. What can we do? Save the Children has joined other major aid agencies in calling on national governments to adopt a bold new deal for refugees. In the short term, we need to provide much more support in the region in terms of food aid, employment, medical care and education so more refugees will not feel compelled to leave the region and reduce the current huge migration to Europe. In addition, we need to eliminate many restrictions that leave refugees living in limbo — in constant fear of arrest, detention and deportation. We also need a special focus on children. Donors need to take additional steps to ensure that children are protected and educated. Otherwise, we face the prospect of helping create a lost generation of Syrian children. Investments now in education and protection for these children can pay enormous dividends once the war ends and rebuilding begins. In recent months, we have seen growing support from individuals and corporations to assist refugees. In early September, the worldwide dissemination of a photo of a little refugee boy drowned on a beach in Turkey helped people see this crisis as a human tragedy that is affecting tens of thousands of innocent children and their families. Our long-time corporate partners, such as Johnson & Johnson, stepped up their support for our humanitarian response for refugee children. With the recent attacks in Paris, we are presented with very hard choices. Our sympathies, of course, are with the hundreds of families around the world who lost a loved one in the barbaric events of November 13. But we can’t turn our backs on the Syrians who are also fleeing death and destruction in their country. By continuing to increase humanitarian support in Syria, in surrounding countries, and for the hundreds of thousands of Syrian refugee families, we are not only doing the right thing but are also providing a future for millions of Syrian children. This post originally appeared on the Global Motherhood section of The Huffington Post. I am just back from the island of Lesvos in the southeastern part of Greece, where I was visiting our programs for refugees who have made the perilous crossing from Turkey. It is a surreal experience: on the one hand a beautiful island with lovely small towns where vacationers from Europe flock in the summer months; on the other hand, a beach strewn with deflated rafts, substandard lifejackets and water bottles, with soaked families huddled together after a rough journey across the strait from Turkey. This far-flung island off of Greece is now the first landing point for thousands of refugees fleeing from Syria, Afghanistan and Iraq. The trip can be deadly for children. The night I arrived in Lesvos, a one-year-old died in the chaos when he fell into the middle of an overcrowded raft packed with more than 30 people. In the dark, the baby drowned in a few feet of water before his mother could find him in the jumble of people. As I sat and talked to families waiting in line for a bus which would take them down the coast to the registration camp, I was struck by the enormous hardships these families had endured along the way – and the fact that this is only their first stop in a long journey through Europe’s many borders. Many had been first displaced in their own countries by conflict, often living for years under fire, experiencing danger and violence on a regular basis. Finally they felt unable to endure another day of fear, lack food or medical services and no school for their children. They had all made the difficult decision to use all their remaining resources to try to start new lives in Europe. Their journeys through Iran, Turkey, Lebanon and other routes were often marred by tragedy. One mother and grandmother cried as they described to me leaving behind a 9-year-old boy who was separated at the Lebanon/Turkey border and was denied a visa to cross with them. Another young mother told me about the birth of her 14-day-old baby while they were in Iran – on the way to Turkey from Iraq – with no hospital or help available. Despite her advanced pregnancy, she and her husband were forced to flee from ISIS and a life of constant danger. And parent after parent told me that their children had now been out of school for years and they needed to give them their future back. In the face of this massive wave of people (more than 160,000 reached Lesvos in the month of September alone), Save the Children has been working to make lives easier. Rather than enduring the 40-mile walk, often in brutal temperatures, from where the boats land to the registration camp, Save the Children and other partners have rented buses to take families down the mountainous road. Once at the camp, we distribute hygiene kits and blankets for mothers and children who come with almost nothing but will be facing Europe’s cold winter temperatures. We have our signature child-friendly space set up so that kids can spend even a few hours playing games, getting colorful drawings painted on to their faces. These spaces bring a smile to a child that has often not smiled for many months. We also look for those children having the hardest time coping and refer them for more help. And each afternoon, we supply a cooked meal to over 3,000 people – often the only meal they may get that day. The young staff here from all over the world are tremendously hard working, living together and working all hours seven days a week – they seem to never stop thinking about ways they can make our work better and respond to ever-changing demands. As those fleeing war and persecution continue to arrive, we must all remain committed to meeting their needs to the best of our ability – so that these children don’t have to spend more of their young lives in fear. 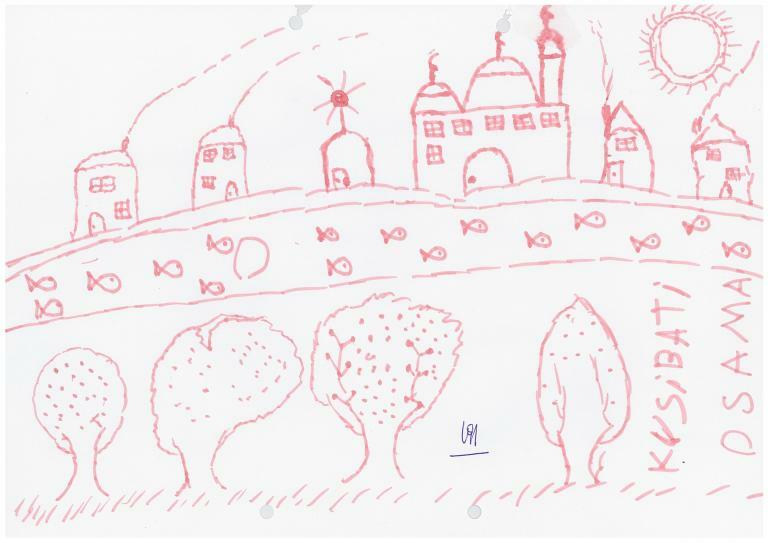 I am struck by one little boy I met on Lesvos named Hassan, who told me that what he wanted more than anything was to have a home again, and to not be scared. Surely this most basic request is not too much for a little boy, only 8, to ask of us. There’s no way around feelings of euphoria today. World Leaders at the United Nations are ringing in a new set of Sustainable Development Goals (SDGs) that promise to end extreme poverty and the scourge of hunger and preventable deaths of infants and children around the world. At the same time, the Pope is calling for solidarity with the most deprived and those displaced by conflict and climate change. Over the coming days, millions of people globally – from youth in Ghana to Shakira — are taking part in the “world’s largest” prayers, lessons, and ceremonies to light the way for the SDGs. It’s one of those rare moments in which governments, faith institutions, everyday citizens and popular idols unite around a common cause to forge a historic moment. Three years of debate among UN diplomats and millions of citizens voicing their priorities has culminated in the approval today by 193 nations of new Sustainable Development Goals, to replace the Millennium Development Goals established in 2000. Negotiations on the SDG agenda have been among the most collaborative in UN history. It is truly a global vision for a better world. Furthermore, the SDGs comprise a holistic agenda – 17 goals rather than 8 – with ending extreme poverty at its core supported by a healthy planet in a peaceful world. The goals are bold and ambitious. The trick will be maintaining the momentum once the speeches end, the crowds disperse, and the cameras turn their focus elsewhere. It will take a collective effort to achieve this, but the most defining players will be governments who will bring political will and resources to deliver a better future for their people. 1) Create national action plans to implement the SDGs. Each government should take the SDGs back home, consult widely with local actors, and make policy and programmatic decisions to put the goals into practice in their country. The entire SDG agenda of 17 goals and 169 targets may not be applicable to every country but there are a core set – namely, the “unfinished business of the MDGs”– like health, education and poverty, which do apply to every country and can be acted upon starting today. 2) Commit financing to the SDGs. Countries should align their budgets to achieve these outcomes. For the United States, this may mean more investments to reduce deaths caused by obesity, heart disease, or automobile accidents, while for poor countries global health dollars could be invested in community health workers to reduce deaths associated with childbirth and malnutrition. 3) Assign a high-level government lead on the SDGs. To ensure rigorous monitoring and accountability, it is important to put in place a focal point on the SDGs who can reach across ministries and carry political weight to ensure action and coordination. 4) Communicate a clear commitment to the SDGs. Heads of state can take these goals home and share them with Parliament or Congress and speak to citizens, private companies, and others to contribute financing, technical know-how, and new ideas and innovations to deliver on the SDGs. Citizens should also play a role holding governments’ “feet to the fire” to be accountable for achieving this agenda over the next 15 years. 5) Prioritize action to “leave no one behind.” Many times on large agendas such as this one, people try to attain the easy solutions and quick wins. This time, however, the world pledged to achieve progress for the poorest and most vulnerable groups first. This requires investments in gathering and disaggregating data to ensure that all groups benefit from progress and no one is being “left behind,” such as girls living in poverty. 6) Publish an annual whole of government report on the SDGs and participate fully in the global follow up and review process. Every country should create progress reports on the SDGs and encourage citizen participation to leverage all resources and people-power in fulfilling the 2030 agenda. This will demand that we work together to strengthen our systems for evaluation and learning in order to scale projects that work and end those that don’t. With the new SDGs, we can build a world in which no child lives in poverty, and where each child has a fair start and is healthy, educated, and safe. But progress toward meeting these goals in each country will depend on more government investment, open and transparent country institutions, participation by a diverse cross-section of civil society, and effective partnerships between government, civil society, private sector, and donors. In 2030 we will judge success by what has been delivered, rather than by our declarations today. Let’s use this historic moment to pave the way for concrete action for children around the world. The First Day of School…in Cuba! The first day of school is an exciting moment of possibility and potential—and the same could be said for my very first trip to Cuba. Everywhere I went, there was an expectant and hopeful feeling in the air. I spoke with young Cubans who expressed their enthusiasm about greater interaction with the world, including the United States, as an opportunity to broaden their horizons and pursue their dreams. I was in Cuba for the country’s first day of school and was lucky enough to visit with kindergarten students in Havana, many of whom were beginning their formal education for the very first time. It was refreshing to see their excitement and hear them talk about what they’re looking forward to learning this year. As part of the visit, we visited an after-school arts program that started in one school and has scaled up to many, and spoke with officials at the Department of Civil Defense about their plan to help schools and students better prepare for disasters. 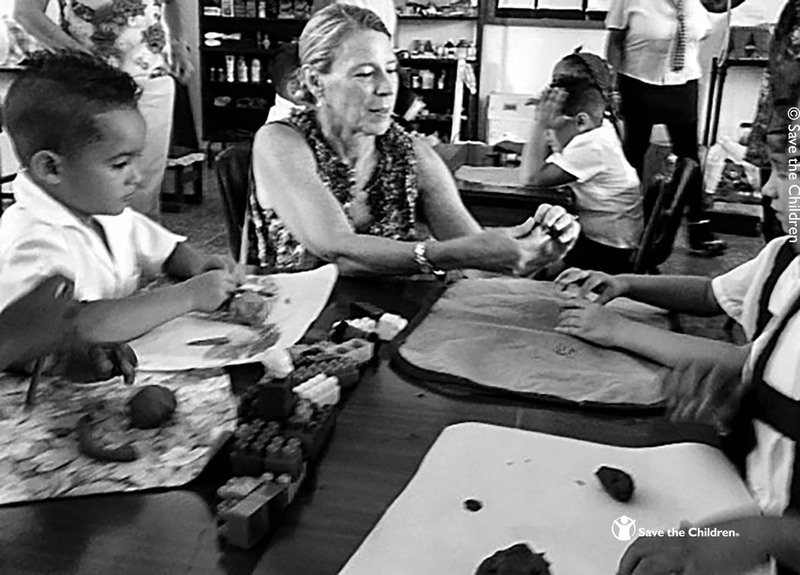 We also celebrated the completion of a 5-year program led by Save the Children Spain in partnership with the Cuban government to increase participation and quality education for 36,000 children in 92 schools, leading to better outcomes for children. But we know that for children to realize these outcomes in school, they must get the healthy start they deserve. So we visited one of the premier pediatric hospitals in Havana and met the dedicated staff who are making impressive advances, despite the lack of supplies, technology, furniture and enough skilled staff. What this facility lacks in materials they make up for in determination for the children under their care—a sense of compassionate duty that echoes what we saw last summer, when a team of Cuban doctors traveled to Sierra Leone and Liberia to help treat those suffering from the Ebola epidemic. One particular child really stuck with me as I traveled back to the U.S. and recounted my trip. She was a kindergartener named Rena, shy at first but then warming as we placed with clay and made little blue snakes. Though my Spanish and her English were too basic for us to talk much, I saw in her eyes the shining future that Cuba could have, one in which children have a prosing number of opportunities to be all they can. So much about my trip felt like the first day of kindergarten: a different, interesting place; new faces who I hope will become new friends; and so much potential to grow and learn. I hope that Save the Children will be able to continue to get to know Cuba, and find out how we can sharpen our pencils and work together to improve the lives of children and families.